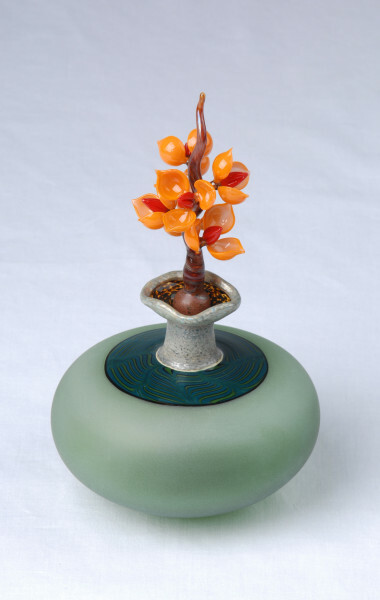 Steve Anderson, a native of Rochester, MN has traveled around the United States attending seminars and symposiums to perfect his glassblowing skills. While training for a career in Scientific Glassblowing, Steve couldn’t help but become intrigued with the technical as well as the artistic aspects of glassblowing. Steve uses a torch to heat the glass to its working temperature of 2300 degrees Fahrenheit. Each piece of glass under Steve’s manipulation becomes a beautiful and unique work of art.